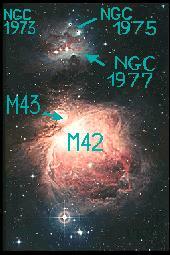 These images show the Great Orion Nebula M42 (NGC 1976) together with its smaller neighbor, de Mairan's Nebula M43 (NGC 1982), which is actually a part of the Great Nebula, and the more northward and less bright nebulae NGC 1973, 1975, and 1977. 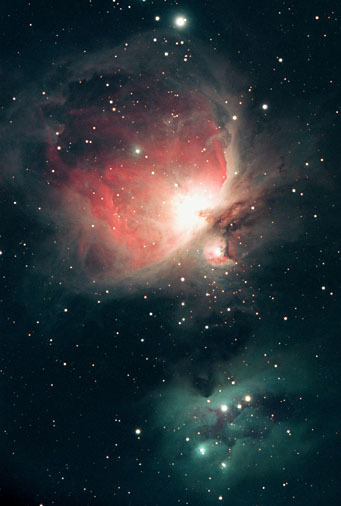 All these nebulae are part of an even larger cloud of interstellar matter which is about 1500--1600 light years away and several hundred light years across. 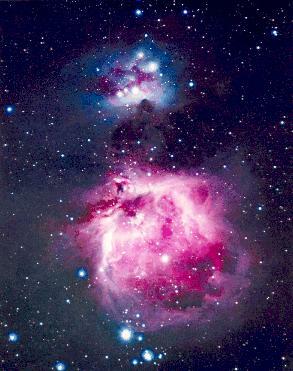 For identifying the individual nebulae, look at this map, or at Bill Arnett's map. 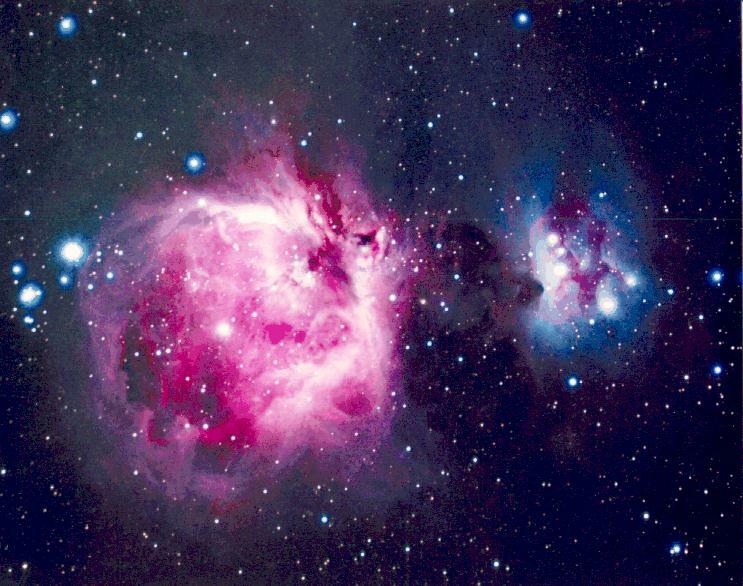 Brad Wallis and Robert Provin obtained this great color image of the Orion Nebula region, beautifully showing M42, M43 and the reflection nebulae north of them (N is down). It was exposed 30 minutes on (hypered) Fujicolor Super G-800+. 155mm f/7 Astro-Physics EDF refractor.